After a four-day search, a suspect in a string of crimes in southwest Iowa was captured last night in Atlantic. Fugitive Michael Dean Mundorf was arrested for felony eluding, assault on a peace officer, 2nd degree theft, contempt and possession of drug paraphernalia among other charges. The search began Sunday in Red Oak when police began pursuing Mundorf, who was driving a stolen 1972 tow truck. A chase ensued and Mundorf escaped on foot into a Pottawattamie County corn field. However, the passenger, Frank Ernest Kutz, age 62 of Lewis, was caught and arrested after fleeing into the field. Police got a tip that Mundorf was staying in an Atlantic apartment, officers responded and arrested him without incident. 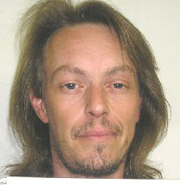 The Red Oak Police Department reports Mundorf is now being held in the Adams County Jail on $15,300 bond.